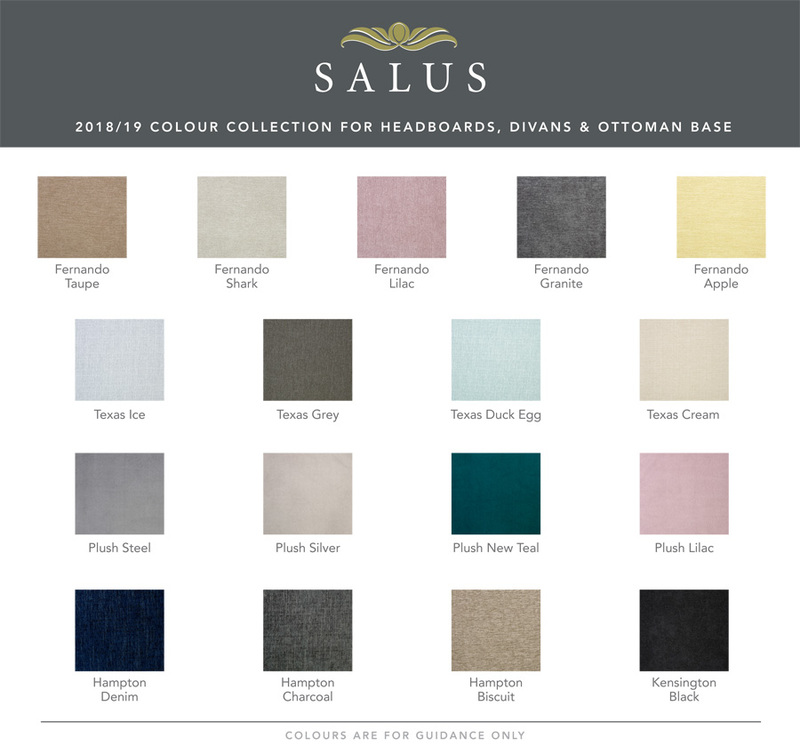 The Salus Congleton floor standing headboard is new for 2019 and stands 138cm high and is 7.5cm thick. It is upholstered in a wide range of quality fabrics and can be matched in with a Salus base. The Congleton has 3 rows of squares with fabric covered stud buttons, and it looks fantastic as it is slightly wider than the bed it fits on to by 4cm. 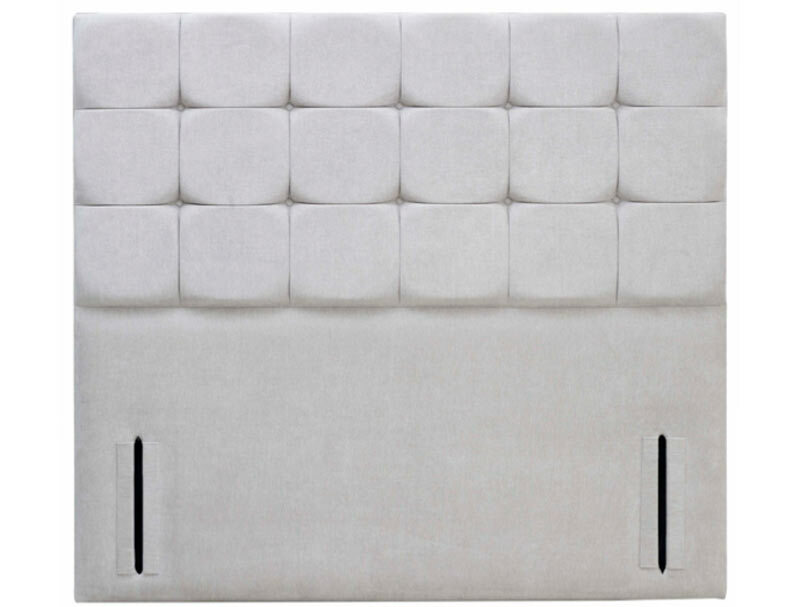 So the headboard is 94cm wide in Single, small double 124cm wide, double 139cm wide, king size 154cm wide and super king size 184cm wide.